In an April 2, 2016 guest column, Susan Kresnicka described Troika’s plans to embark on a year-long, comprehensive study of fans and fandom. In this follow-up, Susan, President of Kresnicka Research & Insights, and Dan Pappalardo, President of Troika, share some key insights from this work. From March 2016 through February 2017, the Research and Insights team at Los Angeles-based brand experience agency, Troika, devoted itself to figuring out the basics of fandom. With a set of six research methods, 50 weeks of continuous fieldwork, and over 12,000 research participants, our team of eight social scientists tackled core questions: Why do some people become fans, but not others? What role does fandom play in people’s lives? How does fandom start? How does it change over time? What is fandom? And, most importantly, how can the entertainment industry use the answers to these questions to build stronger businesses? We knew from the outset that the entertainment industry was beginning to see the potential in fandom. We had observed the change in language from “audiences” to “fans” across many of Troika’s entertainment clients. We saw priorities shifting from “breadth” to “depth” of engagement. Major entertainment brands had invested in our study to learn about the nuances of fandom. After a year of comprehensive and systematic research, we can safely say fandom is a relationship — a love relationship between the self and an object of fandom, whether that object is a show, movie, book, sport, team, league, band, genre, product, brand, person, activity, or idea. We actually refer to fandom as “love,” differentiating it from “liking something” by the loyalty, devotion, depth of interest, willingness to invest, and desire for closeness that it engenders. While at face value fandom may look unidirectional, reciprocity is underway nonetheless. From the moment we become fans of something, we are getting something back from the relationship, because fandom does some very important things for us: it helps us meet core human needs surrounding self-care, social connection, and identity. When we watch our favorite episode of “Friends” at the end of a stressful work day and feel soothed by the companionship and familiarity of that proxy social milieu, or when we clear our schedules and make time for ourselves to watch our favorite team play, fandom is providing self-care. When we wear our Clone Club T-shirt on the first day of class, subtly inviting other “Orphan Black” fans to initiate conversation, or when we stay close to our daughter during her difficult teen years through our shared love of “Supernatural,” fandom is providing social connection. 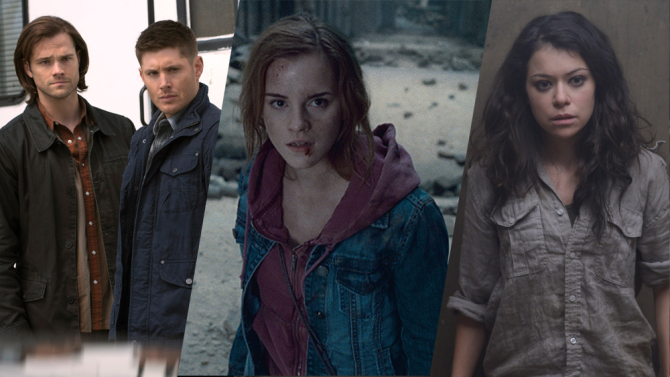 When we better understand some facet of who we are through Jesse Custer or who we want to be through Hermione Granger, fandom is helping us explore and craft our identity. Fandom is widespread and deeply woven into the fabric of everyday life. Fandom gives us something to look forward to day-in and day-out, in ways big (special events like concerts, conventions, and season premieres) and small (checking daily news, connecting with other fans online, or watching a weekly episode). Fandom shapes our physical environments though merchandise, collections, fan art, and other fandom-related objects. And fandom gives us something to talk about — whether we are furthering a conversation with existing fans or “efangelizing” to someone new. Be real. Fandom develops when an object of fandom reflects some meaningful dimension of who we are — our values, our sense of place, our perspective on the world. In order for this to happen, we have to know what our content and brands stand for — which dimensions of identity they can reflect — and project those ideas effectively in content development and marketing. Understand the underlying drivers of fan relationships. Take time to learn the full range of value content or brand creates for fans, pushing beyond superficial “what do you like about it” questioning to apprehend the deeper forms of meaning it holds. This critical step can help reinforce the qualities of content and brands that create the most value for fans, to develop new offerings that extend that value, and to avoid decisions that could threaten the foundations of the relationship. Communicate effectively. Know fans’ “love languages” — those modes of communication that make fans feel understood and appreciated. Of course, different types of fans may have very different “love languages.” For instance, affirmational fans, who feel attached to the sanctity of the original story and often bristle at its reinterpretation, may have different communication needs from transformational fans, who appreciate (and often actively participate in) the reinterpretation and expansion of the original story. Keep things balanced. In any healthy relationship, both parties get their needs met, and the fan-brand relationship is no different. On the business side, commercial goals may need to be met, with fans engaging in monetizable behaviors. But on the fan side, needs for self-care, social connection, and identity need to be met. If the focus is exclusively on transactional needs, making no conscious effort to ensure that fans’ needs are also being met, fans can feel used. When the only communication fans hear is “watch at this time,” “buy this,” or “click here,” they can easily assume the brand is only interested in a commercial relationship. How must it feel from the fan’s perspective to know that a show/movie/book/character/etc. plays a meaningful role in your life, but the people who manage it only see its cash value? From the fan perspective, it hurts. From the business side, it also shortens fandom’s life-span, with fans actually ending the relationship when they feel singularly used. Handle the tough times with honesty and respect. Every relationship has ups and downs, and how we respond to challenges has everything to do with how long the relationship lasts. When an issue arises — fans are outraged over the death of a beloved character or a casting decision or the fate of a ‘ship’ (short for a ‘relationship’ between characters), etc. — our first impulse on the business side is to defend ourselves. (By the way, it’s often our first impulse in any relationship when our partner expresses dissatisfaction with our choices.) But it never helps — not in the long-run. After we discharge our reactive self-righteousness, we still have to deal with the underlying problem. Maybe the brand’s or story’s needs were at odds with fan needs in that moment. Maybe we misunderstood something about our fans. Maybe we pleased one subset of fans but disappointed another. Whatever the case, approaching the situation with empathy and respect for fans’ perspectives will help us weather the rough spots. Fandom raises the stakes of the business, elevating it beyond something trivial or “just” for entertainment. When fan-centric brands are built, they are entities that hold deep meaning for people and meet important human needs. Understanding that it is a mutually beneficial relationship and striving to be the best partners possible will help everyone navigate the dual demands of monetizing and maintaining fandom.